Rugged Knapheide Mechanics Trucks have been utilized in many different industries including heavy construction, railroads, municipalities, mining, agriculture and equipment rental. Knapheide Mechanics Trucks provide reliability, productivity and safety on the jobsite. Knapheide Mechanics Trucks are complete turnkey packages mechanics need and come to expect in a service truck. All Mechanics Trucks from Knapheide feature a crane to perform the lifting, heavy duty mechanics drawers for organized tool storage and ample and secure storage within the side compartments. 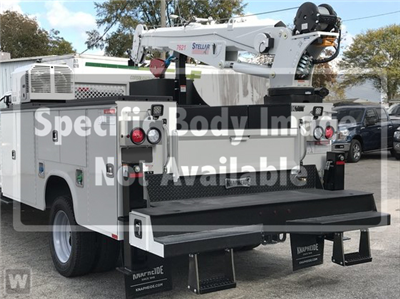 Choose from a variety of crane body lengths, electric or hydraulic cranes, compressors, welders, generators, lube packages and auxiliary lighting.